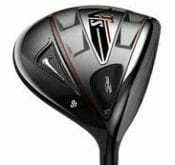 Posts under tag "nike golf"
Come and compare your current clubs against the new Nike VRS clubs on a FlightScope golf launch monitor. Apple, the Apple logo, iPod and iPod touch are trademarks of Apple Inc., registered in the U.S. and other countries. iPhone is a trademark of Apple Inc. App Store is a service mark of Apple Inc.